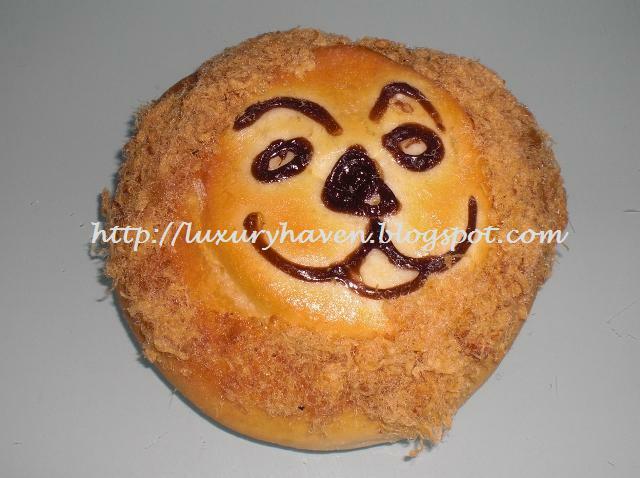 You are here:Home » Promotion / Events » BreadTalk Celebrating 10th Anniversary! Spring in the City (火腿葱葱葱), Mr Hokkaido (北海道先生), Sunflower (向日葵), Flosses (松松), Dinosaur (恐龙)……. Yes, we’ve heard them all but who could have thought these creative names are all tagged to BREAD? Before BreadTalk made their entry into the bakery world, bread to me was just an ordinary white piece of staple food made out of flour, milk, butter etc, & eaten with jam, butter & at most, ham. I used to detest eating bread, until BreadTalk’s resurgence to the simple piece of baked dough – moulded into fanciful shapes & gave it a quirky name. I must say that they did a pretty good job as its creative designs appeal to both the young & old. 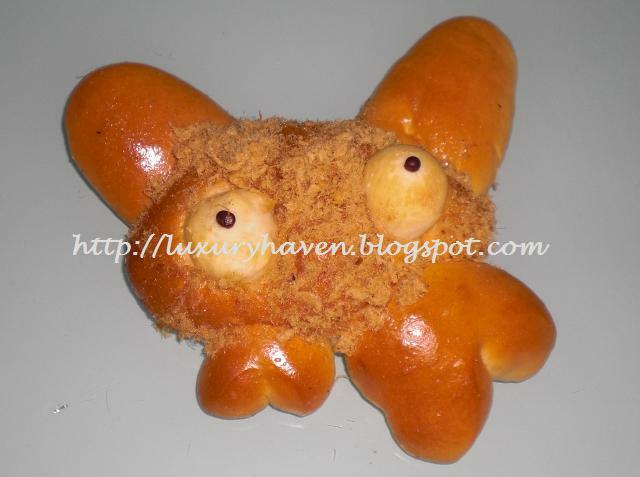 It’s bread coming ALIVE! 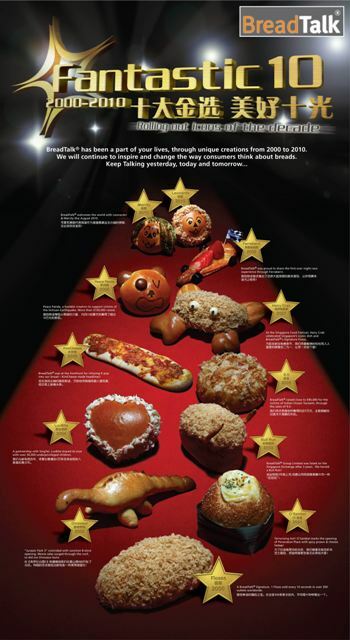 BreadTalk, a home-grown award-winning brand known for its whimsical designer breads & Signature Pork Floss Bun, is celebrating its 10th Anniversary! 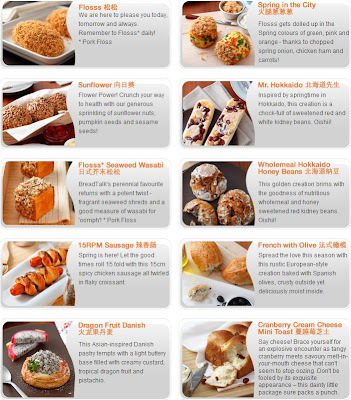 It’s 10 Years of Good Bread, treating discerning Singaporeans to freshly-baked buns at quality prices! With its expansion to the current 13 countries (Singapore, Indonesia, China, Kuwait, Oman, Philippines, Malaysia, Hong Kong, India, Thailand, Korea, Vietnam, Bahrain), others also get to enjoy these exquisite pieces of art. 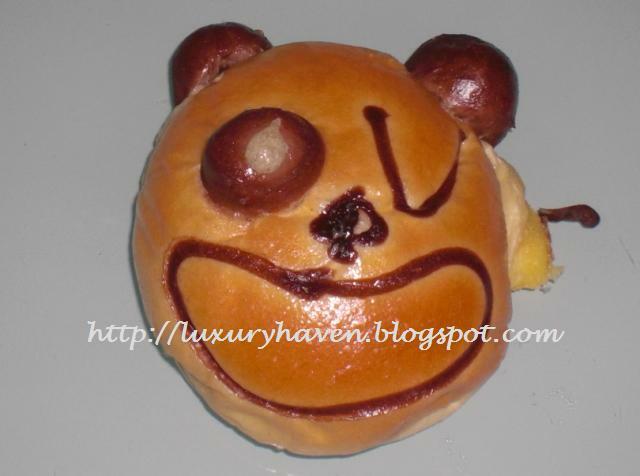 Take a look at their Fantastic 10 Buns! 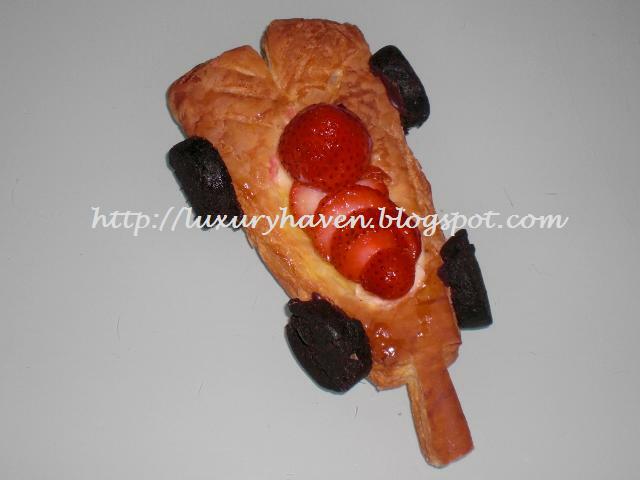 These gourmet treats are truly "artwork for your taste buds"! 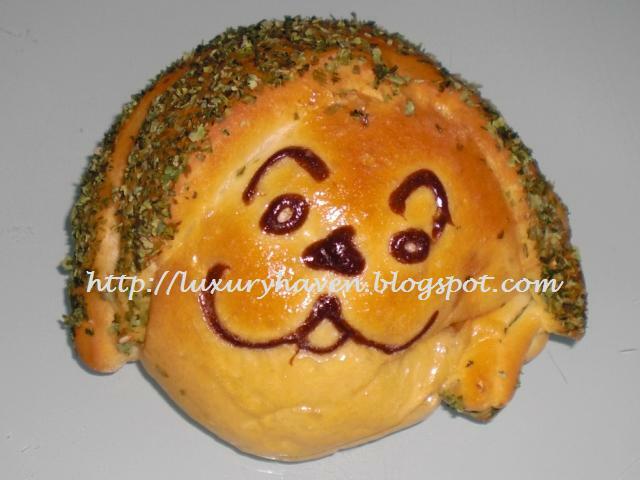 Eating bread can be fun now, with so many different designs & fillings to choose from. So head down to your nearest outlet & get yours now! It's call BreadTop here. I didn't know that it existed in SG till they got here. eheheh! Ooooh, I'm off to Breadtalk now. Thks! I love the potato stuffed naan from Bread Talk but it's been so long since I stepped into Bread Talk I think they've changed their line up! Have you been to Bread Society? They're breads are amazing too.